Dr. Mahir Jallo, Faculty in the Canadian Academy of Natural Health – Canada. He is a Clinical Professor of Medicine & Senior Consultant, Internal Medicine - Diabetes & Endocrinology in Gulf Medical University – UAE. Granted his MB,ChB from Mosul Medical College in IRAQ, his postgraduate Board Certification in Internal Medicine CABM from the Arab Board, his Fellowship of American College of Endocrinology FACE. He joined the JCI Accredited GMCHRC –Thumbay Hospital in 2004 establishing the Diabetes & Endocrinology care in the hospital. He was an Affiliated Faculty in the Department of Medicine, Mosul Medical College & Department of Clinical Pharmacy, Mosul College of Pharmacy – in IRAQ till 2004. In his record active participation & speaker invitation in many National & International conferences & CME programs. 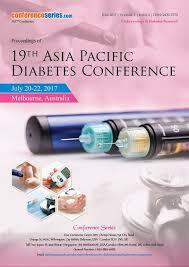 Organizer of the annual GMU Diabetes & Endocrinology Conference since 2012. 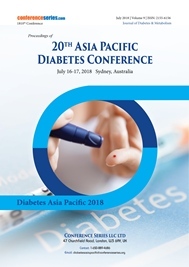 Editor In Chief: Diabetes Digest from Iraq, Editorial Board Member & reviewer for many international Diabetes & Endocrinology journals, with many publications in medical periodicals and medical conferences abstract. 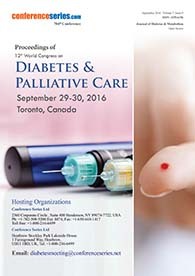 Active Principle Investigator in many National & International Clinical studies. Member of many national & international medical societies & associations, AACE, EASD, ISPAD, ESE & European Atherosclerosis Society. Awarded twice A Special Honor & Award in recognition of the exemplary achievements in the field of Internal Medicine & Endocrinology and for the invaluable service to the community. Eduardo J. Simoes, is Chair, Wesbury and HMI Alumni Distinguished Professor of the Department of Health Management and Informatics-University of Missouri School of Medicine (2011-current). His medical degree is from Faculdade de Medicina, Universidade de Pernambuco-Brazil (1976-1981), diploma & master of sciences degree from University Of London School Of Hygiene Tropical Medicine (1986-1987) and master of public health degree from Emory University School of Public Health (1989-1991). He is a fellow of the American College of Epidemiology, reviewer and editor for 12 journals. He published over 100 peer-reviewed publications, eight book chapters and 18 reports. He presented in 150 conferences. Mandal is a native of India and a naturalized citizen of the United State of America. He is board certified in Internal Medicine and Nephrology (not yet recertified in nephrology). Diabetes Mellitus is the most common cause of kidney failure in the USA and worldwide. This strong association between diabetes and kidney failure has inspired Dr. Mandal to develop the framework of Mandal Diabetes Research Foundation to assist diabetic patients in living a good life with medical treatment, and avoiding dialysis. He is a published author/editor of 12 books and more than 100 articles on research in diabetes and kidney disease. He is a two-time Fulbright Scholar and a visiting professor of 23 countries which permitted lectures on diabetes, high blood pressure and kidney diseases on five continents of the world. His astute knowledge and total dedication help patients get better and to live a good life. His convictions are that in the office patients come first, at home children come first. Roses are his love, hence rose gardening is his hobby. Nicolette Houreld, D.Tech (UJ) Biomedical Technology, is a full time senior lecturer and researcher in the Laser Research Centre, Faculty of Heath Sciences, University of Johannesburg. As a NRF (National Research Foundation, South Africa) Y2-rated (young) scientist, her field of research is laser tissue interaction and focuses on the biochemistry and molecular effects of lasers used in therapy, particularly in diabetic wound healing. She has numerous accredited publications and serves on various research-related university and science council committees, executive committees including the World Association for Laser Therapy, and the editorial board of internationally accredited journals. Extensive experience in laser tissue interaction and the biochemical and molecular effects of lasers, particularly in diabetic wound healing. Vladimír Strbak,MD and DSc., has completed his study in Bratislava. He was Director of the Inst. Exp. and SAS, Head of Pathological Physiology, Slovak Med. Univ., president of the Slovak Physiological Society, Council Member FEPS, chair of the Scientfic Board of the Slovak Academy of Sciences for Medical Sciences, Council Member of the International Society for Pathophysiology. Published 118 PubMed papers. Organized series of symposia on Hormones in Milk and Cell volume and function and FEPS meeting in Bratislava. Osama A Tolba El Razaky had completed MD Pediatrics from Tanta University. He has obtained Post-doctoral studies in cardiac deformation. He is a Head of Egyptian Pediatric Cardiology Association and a member of Egyptian Universities promotion committee (Professor of Pediatrics). He is currently a Professor of Pediatric (Cardiology Unit) in Tanta University. He has published 20 papers in international journals and has been serving as a Reviewer for Acta Pediatric. He was a supervisor of 100 MS and 25 MD theses in Pediatrics. He is working as echographer in Pediatrics since 25 years. His main interest is TDI, STI and 3D Strain. Fadi Nabhan has completed his MD at Damascus University and then Internal Medicine Residency and Endocrinology Fellowship at Loyola University Medical Center in Chicago. He is currently an Assistant Professor of Medicine at the Division of Endocirnolgy, Diabetes, and Metabolism at The Ohio State University in Columbus, OH in the USA . His research interest is in thyroid disease. Diabetes is causing an increase in mortality and morbidity especially among Hispanics and integration of CHWs may improve and reduce diabetes-complications. Abdelmarouf Hassan Mohieldein is an Associate Professor of Medical Biochemistry & Research Methodology, Department of Medical Laboratories, Qassim University. He was awarded Ph.D degree from Institute of Molecular Medicine, Moscow Medical Academy, Russia. He has got the training in chemical pathology, Newham General Hospital, London, U.K. He is a peer reviewer for several international journals and research funding agencies. He has 22 published papers in refereed journals. He authored the textbook of Medical Biochemistry. He participated in following international conferences (Moscow-Russia 2001, Cannes- France 2002, Brussels- Belgium 2003, Athens-Greece 2006, Nice-France 2009, and MarrakeshMorocco 2010). He has ongoing funded projects and supervising research students. Zhengyuan Xia had served as a cardiovascular anesthetist for more than 10 years in China before he completed his Ph.D study at the University of British Columbia, in Canada in 2004. He is now Assistant Professor and Honorary Associate Professor and Deputy Director, Anesthesiology Research Laboratory of the Department of Anesthesiology, University of Hong Kong. His major focus of research is post-ischemic cardiac protection in diabetes. 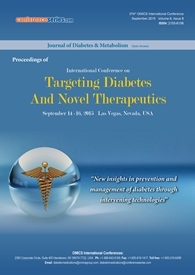 He has published more than 96papers in reputed journals (such as Diabetes, Free Radical Biology & Medicine, Critical Care Medicine) and is serving as an Executive Editor of Journal of Diabetes & Metabolism. Mohsen Khalid has graduated from faculty of medicine Cairo University in November 1980. He has completed his Master degree in Internal Medicine May 1986, and then he completed his Medical Doctorate in Internal Medicine November 2003. He is a consultant of Diabetes and Endocrinology in the Egyptian National Institute of Diabetes and Endocrinology. He has published more than 20 papers in reputed journals. The research interest of Prof. Dr. Mohsen Khalid is Genetics of Diabetes, diabetic complications and how to assist diabetic patients to live a good life with life style modification and medical treatment. Seyedaghanoor Sadeghi graduated from Tehran Medical Sciences in 1987 as a Professional Medical Doctor. He has practiced Conventional Medicine during the last 27 years and about 7 years as a professional Homeopath. More than 35 articles have been authored by him and have been published on various websites especially hpathy.com. Six books were authored under various topics, related to homeopathic medicine. Some of his articles have been translated to various languages like Farsi, German, Italian, Spanish and Russian. He held a workshop on Homeopathic Treatment of diabetic patients in Tokyo, being relayed to 4 other cities, for about 100 people, on April 29, 2017. Hamzeh Awad has completed his PhD at the age of 30 from the University of Munich, Germany and worked in Healthcare Operation and System, Planning and Development, Disability, Rehabilitation, Diabetes and eHealth in different countries such as Germany, Belgium, Jordan, Saudi Arabia, UK and UAE. Further; he was appointed as a Researcher at WHO center in Munich, Researcher at University Hospital of Technical University of Dresden, Assistant Prof. at King Saud University in Riyadh, and Research and Clinical programs Development Manager at Prince Sultan Rehabilitation City, KSA. He is now Associate Prof. in Health Science Department at Al Khawarizmi International College (KIC) and Adjunct Faculty member in Public Health Department, Abu Dhabi University, UAE and Senior eHealth consultant at e-Point, Belgium (Founder of SEHA eHealth). He has several publications in ISI journals and Books and keynote speaker in several international conferences. He has several international collaborations with different research groups in Healthcare system, Physical therapy and Rehabilitation, Diabetes, Health Information Technology, Health Management and eHealth. Michael Yafi is the director of Pediatric Endrocinology division of University of Texas Medical School. He got the "Best Doctors in Houston" in 2006. Dr. Michael is a member of "Austin Journal of Pediatrics"
Vladimír Štrbák,MD and DSc., has completed his study in Bratislava. He was Director of the Inst. Exp. End.SAS, Head of Pathological Physiology, Slovak Med. Univ., president of the Slovak Physiological Society, Council Member FEPS, chair of the Scientfic Board of the Slovak Academy of Sciences for Medical Sciences, Council Member of the International Society for Pathophysiology. Published 118 PuBMed papers. Organized series of symposia on Hormones in Milk (5) and Cell volume and function (2) and FEPS meeting in Bratislava. He served as Organizing Committee member of the 6th Global Diabetes Summit and Medicare Expo in Dubai (2015). Dr Knott is a member of the Course Management Team for the Postgraduate Certificate in Research Methods, and teaches both undergraduate and postgraduate students in the area of research methods, molecular and cell biology, biotherapy, pharmacogenomics and pharmacogenetics. She is a Professional Member of Diabetes UK and the Biochemical Society, and a Fellow of the Higher Education Academy. Dr Knott's research skills are in the area of molecular and cell biology with particular interest in the microvascular complication of diabetes. Dr. Belma Turan is a professor and head of biophysics in Ankara University. She got distinguished Service Award in Cardiovascular Sciences, Medicine and Surgery by International Academy of Cardiovascular Sciences, 2005.She is an editorial board member of number of journals and also a visiting professor in Manitoba University. Professor Yusuf Ozturk has completed his PhD from Ankara University in 1985. He was the former director of Graduate Institute of Health, and is now the head of Department of Pharmacology and the dean of the Faculty of Pharmacy, Anadolu University. He has published more than 160 papers in reputed journals cited around 1800 times and has been serving as an editorial board member of repute. Participating many scientific juries, boards and commissions, he has various national and international awards and prizes, acknowledging top and distinguished review service. Dr. Zeeshan Ali is the Kickstart India Program Specialist at the Physicians Committee for Responsible Medicine in Washington, D.C.He supports the outreach efforts of the Physicians Committee by reaching new members, physicians, health care professionals and researchers at medical and scientific conferences. He received his doctorate degree from Johann Wolfgang Goethe University Germany. He held a Marie Curie fellowship from Gabriele D'Annunzio University in Italy in 2010 and a postdoctoral fellowship at University Piemonte Orientale Italy 2012. Omo is a Senior Lecturer in Primary Care in the Department of Acute and Continuing Care.He leads the school Diabetes Specialist Interest Group and co-ordinates the Diabetes Care and Management course for post registration nurses and Patient Pathways of Care for pre-registration participants and also conducts study days in collaboration with partner organisations outside the university.He is a link lecturer for students attending clinical placement in various community settings and is also the Professional Tutor Group Leader for students, providing pastoral support to these students throughout their programm.He supervises both undergraduate and postgraduate research students. Omo's work is recognised both nationally and internationally and he has been a keynote speaker at the NNNG conference, a reviewer for Journal, Editor of Journals and sits on the Editorial Board of American Journal of Food and Nutrition. Dr. Jose Mario Franco de Oliveira is an Associate Professor of Medicine in the Department of Medicine of Universidade Federal Fluminense, in the State of Rio de Janeiro, Brazil. He is also one of the Deputy Editors for Diabetes of The British Medical Journal. He has published a number of papers and served as a reviewer or author&co-author for many prestigious medical journals like “Hypertension”, “The American Journal of Hypertension”, “The Journal of the American Society of Nephrology”, “The British Medical Journal”, and the “New England Journal of Medicine. His main interests are in the clinical research of diabetes and hypertension. He is a Certified Preventive Cardiologist, Nephrologist, and Adult Intensive Care Unit Physician,. Finally, Prof de Oliveira, was a Post-Doctoral Clinical&Research Fellow at the Endocrinology-Hypertension-Diabetes Division of the Brigham&Women,s Hospital at Harvard Medical School, in Boston, USA, and is one of the two authors of the recent electronic Diabetes e-book published and edited by the British Medical Journal for All Doctors World-Wide. Dr. Gaurav Sharma is a renowned Diabetologist and a lifestyle doctor who is credited with changing the entire wellness industry across the globe. He is one of the illustrious personalities known for his contribution towards society & making people aware about the perpetual dominance of a number of lifestyle related disorders. A visionary by approach & innovator by default his urge of giving back to society inspired him to launch DrG Wellness, a company which has motto of constant innovation in terms of pathbreaking food supplement & products. Dr. G Wellness has dedicated R & D team which is headed by Dr. G Sharma himself. After completion of his post graduation (M.D) from St. Petesburg state medical academy, he heralded a profound need for people to lead a healthy lifestyle by adopting the right diet plans. He was always keen towards working for the benefits for those suffering from most prevalent lifestyle related disorders like diabetes, arthritis, obesity. He has been practicing for more than 14 years in preventing and managing such disorders through his world famous lifestyle modification programs. He was recently awarded at the 4th M.T India health care awards held in 2014 to become the most admired Diabetologist and lifestyle doctor. Dr. G feels “Impossible is equal to opportunity” & this is what has inspired him to innovate products which have reversed diabetes and arthritis of thousands of patients. Dr. G Sharma has been featured numerous times on the leading national television discussing how to reverse the symptoms of most lifestyles related disorders naturally. She graduated from the University of Malaya with a Master's Degree in Medical Microbiology. She worked as a research assistant in Professor Thomas Luscher's lab (Zurich, Switzerland) before commencing her doctoral and postdoctoral research training in the lab of Associate Professor Yang (University of Fribourg, Switzerland). She has been awarded with the Pfizer Research Award for the Best Research in Cardiovascular Biology (Switzerland, 2005) for the finding of the beneficial role of reconstituted high density lipoprotein, in improving endothelial function as an important contribution towards therapeutics against atherosclerosis.She is also an Associate Fellow of the Higher Education Academy, with a passion for widening medical research knowledge among school children, through school placements. She was elected Fellow of the European Society of Cardiology in the field of Cardiovascular Sciences (ESC) and a member of the ESC Working Group on Atherosclerosis.Currently, she is working on exploring the mechanisms underlying endothelial function and insulin sensitivity. She has worked with animals models of vascular diseases and is interested in mechanisms of atherosclerosis and insulin resistance. Prof. Dr. Nuray Yazihan (MD) is physiologist and pathophysiologist and currently works in Ankara University,Faculty of Medicine, Internal Medicine Division, Pathophysiology Department. Her current research areas are inflammatory aspects of ischemia, hypoxia, cancer and metabolic diseases. She has projects about novel inflammatory molecules in cell/organ defense systems and special interest in erythropoietin and midkine. She has extensive experience in developing animal and in vitro/ex vivo organ and cell culture models and molecular tecniques. She has also studies in mathematical modelling , risk analysis and health economics. She has been leading national and international projects, and being as advisor in different projects of national and international public sector. Dr. Esma Nur Okatan is an Assistant Professor at the Department of Biophysics, Cumhuriyet University Faculty of Medicine.Her research interest is in clarifying the mechanisms underlying diabetes-induced cardiac dysfunction. Specifically, she has focused on altered intracellular calcium ion homeostasis and sarcoplasmic reticulum function in diabetic rat hearts. She has received fellowships from organizations such as UNESCO, FP6 Marie Curie actions, International Society for Heart Research, Scientific and Technological Research Council of Turkey (TÜBİTAK) and Ankara University. She uses animal models to mimic type-1 diabetes and high carbohydrate-induced metabolic syndrome, and electrophysiological methods to define cardiac dysfunction. She investigates the mechanisms underlying the dysfunction through cell culture models and molecular biological approaches. Ovsyannikova Alla had completed her studies from Novosibirsk Medical University, Russia. She had two certificates of specialists: internal medicine and endocrinologist. She is working as an endocrinologist and scientist in Federal State Budget Institution "Scientific - Research Institute of Therapy and Preventive Medicine".She investigates characteristics of the clinical course, treatment and genetic features in Siberian and Russian population. Her research work is about monogenic types of diabetes mellitus (especially MODY diabetes) in young patients. Haobo Li has completed his Ph.D. from Department of Anaesthesiology, The University of Hong Kong, Hong Kong SAR China, and postdoctoral study from the same department. He is the postdoctoral fellow at the Department of Anaesthesiology, The University of Hong Kong. His major focus of research is the mechanism of ischemic postconditioning cardioprotection against myocardial ischemia reperfusion injury, particularly, of diabetic hearts. He has published more than 20 peer-reviewed papers and services as a reviewer for more than 3 reputed journals and grant. Dr. Nicolette Nadene Houreld N.Dip (TWR), B.Tech (TWR), M.Tech (TWR), D.Tech (UJ) Biomedical Technology was born in Johannesburg, South Africa. She graduated from the Laser Research Centre, Faculty of Heath Sciences, University of Johannesburg in 2007 with her doctoral degree in Biomedical Technology and became a full time senior researcher and lecturer in the Laser Research Centre in 2009. She received her NRF (National Research Foundation, South Africa) Y2-rating in 2012.Dr Houreld has supervised and co-supervised 8 honours, 8 masters and 4 doctorate students within the Laser Research Centre and other departments within the University of Johannesburg. She has secured external funding towards projects in the Laser Research Centre and has reviewed both National and International grant applications. Over the last 11 years she has published 34 peer-reviewed accredited national and international articles, 17 conference proceedings, 4 book chapters and 1 book, and reviews articles for numerous international journals. Dr Houreld serves on various research-related university and science council committees, and is on the editorial board for the journal Photomedicine and Laser Surgery. She is currently on the executive committee as treasurer for the World Association for Laser Therapy (WALT). She has presented at and been invited to present and give workshops at a number of international conferences. Her research interests lie in the areas of photobiomodulation and diabetic wound healing, where she investigates the molecular and cellular effects of photobiomodulation and laser tissue interaction.